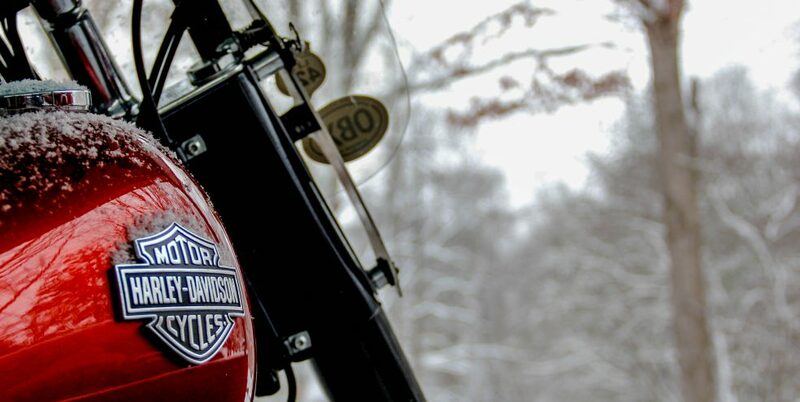 This entry was posted in Adventure, Motorcycles, Road Trip!, Spring, The Bike, Travels and tagged Harley Davidson, Motorcycles, Photography, Road Trip!, Softail Slim, Women Riders. Bookmark the permalink. I’m packing up the bike for a trip to Richmond (220 miles or so) and a reunion with college friends, On the way home tomorrow, I’ll meet up with bike friends at a small brewery called Chaos Mountain. Gotta love that name! It’ll be a first visit for me so I’m looking forward to that, and to the ride! Awesome. Enjoy the wind in your face, Laurie! It’s beautiful here. Hugh’s in the low 70’s this weekend. Stay safe, Laurie, and enjoy the ride! Enjoy the ride, and safe travels. Thanks Jim! Perhaps it’s because it’s my first long ride of the season, but I’ve had safety on my mind big time. Have a fantastic time Laurie! I am heading in to Toronto to meet up with 2 fellow bloggers for lunch! That sounds wonderful! How was it? Have you all met up before or was this the first time? It was awesome. I had met one of them (Joanne over at My Life Lived Full) but I had not met Sue (Travels of Life) so it was wonderful to meet in person! I did! It was wonderful! It was the perfect weather for riding, and 500 miles later, I am home and happy. I spent the weekend with my first college roommates … we met in 1978! It was such a fun reunion. How was your weekend, Pauline? Every day is a weekend for me Laurie 🙂 Imagine what I’d get up to if I had a motor bike!! Spring at last! At least for a few days. I got myself into the garden for a little dirt therapy! Hope your ride is awesome. My niece was her with her love, which was nice, and we grilled out after going to Dumbarton Oaks. Fabulous! What a beautiful bike! Hoping you had fun out on the road. Isn’t the arrival of spring the most amazing thing? !